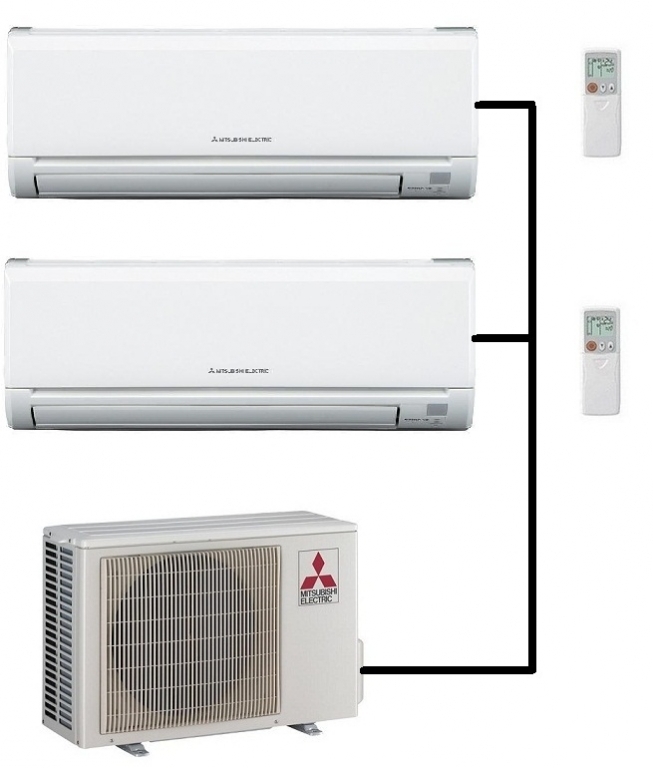 The Mitsubishi Electric multi output outdoor unit model MSZ-2F42VF can be partnered with many different indoor units and uses the latest R32 refrigerant. This two indoor unit combination partners the standard wall mount range, either 2.5kw or 3.5kw with the MSZ-2F42VF outdoor unit. There are many other partner combinations available in the Mitsubishi range, these include high wall, low wall and ducted systems. All models are full air heat pumps so can heat and also cool. If you are not sure on the compatibility of a system ring us for advice.